914 Santa Barbara St. Call 965-5400 or visit ensembletheatre.com. 1317 State St. Call 963-4408 or visit thearlingtontheatre.com. 11 W. Anapamu St. Call 568-1400 or visit artamo.com/artamogallery. 205 C Santa Barbara St. Call 965-7321 or visit artsfundsb.org. 121 State St. Call 966-5373 or visit sbcaf.org. 751 State St., Paseo Nuevo. Call 963-0408 or visit centerstagetheater.org. 1800 Refugio Rd. Call 967-1962 or visit circlebarbtheatre.com. 1624 Elverhoy Wy., Solvang. Call 686-1211 or visit elverhoj.org. 1214 State St. Call 899-2222 or visit granadasb.org. 2285 Las Positas Rd. Call 563-3262 or visit gustafsondance.com. 960 Embarcadero del Norte. Call 893-3536 or visit myspace.com/magiclantern. 18 E. Canon Perdido St. Call 966-3334 or visit janedeeringgallery.com. 33 E. Canon Perdido St. Call 963-0761 or visit lobero.com. 721 E. Cota St. Call 884-4087 or visit luketheatre.org. 1070 Fairway Rd. Call 969-4726 or visit musicacademy.org. 145 E. Ojai Ave., Ojai. Call 646-8946 or visit ojaifilmsociety.org. 800 S. College Dr., Santa Maria. Call 922-8313 or visit pcpa.org. 1006 E. Main St., Ventura. Call 667-2900 or visit rubicontheatre.org. 1122 N. Milpas St. Call 962-7411 or visit sbbowl.com. 653 Paseo Nuevo. Call 966-5373 or visit sbcaf.org. 1130 State St. Call 963-4364 or visit sbmuseart.org. 1221 State St. Call 962-7776 or visit sohosb.com. 7 E. Anapamu St. Call 730-1460 or visit sullivangoss.com. Call 893-8000 or visit www.uam.ucsb.edu. Call 893-3535 or visit artsandlectures.sa.ucsb.edu. Call 893-3241 or visit www.theaterdance.ucsb.edu. Call 893-4637 or visit carseywolf.ucsb.edu/pollock. 423 State St. Call 965-8676 or visit velvet-jones.com. 955 La Paz Rd. 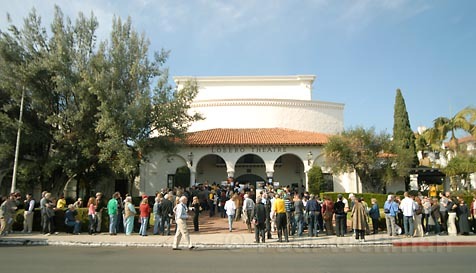 Call 565-6162 or visit westmontmuseum.org. 2928 San Marcos Ave., Los Olivos. Call 688-1082 or visit wildlingmuseum.org. 28 Parker Wy. Call 965-8811 or visit yogasoup.com.